The SETsquared partnership has been ranked as the world’s leading business incubator for its outstanding contribution to developing the next generation of UK tech entrepreneurs. The announcement was made at the World Incubation Summit in Toronto, Canada. This confirmed SETsquared’s pre-eminence as ‘number one’ in its field, having maintained its world-leading position since 2015. SETsquared’s ranking comes as a result of the world’s most extensive benchmark study of university-linked business incubators and accelerators, conducted by UBI Global, and has recognised SETsquared as the World’s Top Business Incubator – Managed by University. With bespoke entrepreneur training programmes and unrivalled access to a network of mentors, alumni, investors, corporate partners and the knowledge base of the five universities, SETsquared has helped over 2,500 UK high-tech start-ups raise more than £1.5bn of investment and contributed over £3.8bn to the UK economy. Last year over 880 entrepreneurs participated in SETsquared programmes and it incubated 381 companies which raised a record £218m investment – the highest ever annual investment raise from the SETsquared portfolio. “The SETsquared partnership has not only helped nurture and grow British technology businesses, but it has also contributed nearly £4 billion to the UK economy which is an incredible achievement. 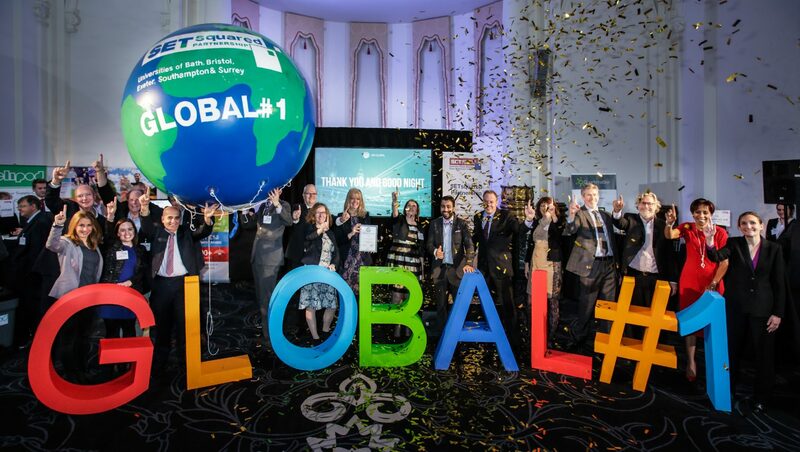 Being recognised as one of the world’s leading business incubators is fantastic news and testament to the hard work and dedication of the team at SETsquared and the universities they work with. “We’re delighted to be acknowledged once again as the world’s top business incubator and it is an honour to be recognised by UBI Global in this way alongside the best performing university business incubators and accelerator programmes in the world.